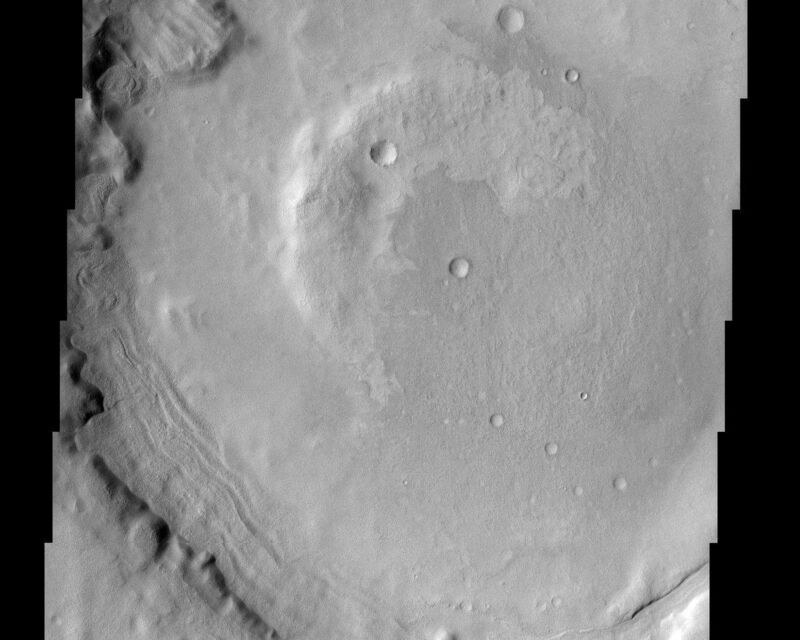 The impact crater in this THEMIS image is a model illustration to the effects of erosion on Mars. 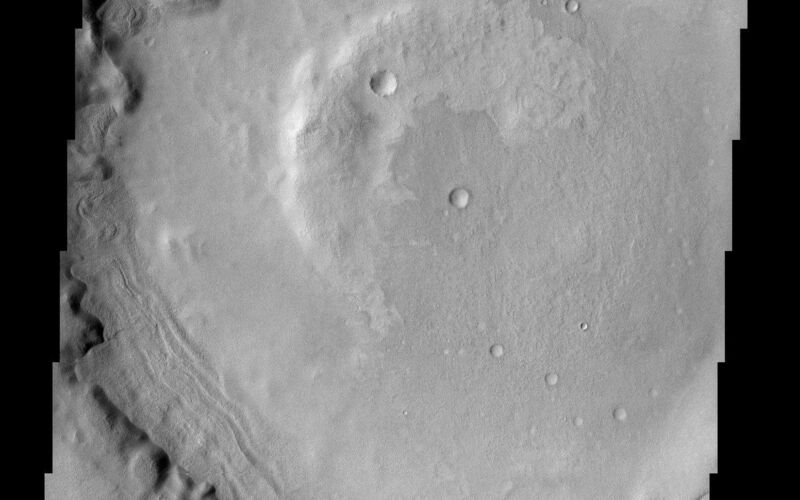 The degraded crater rim and several landslides observed in crater walls is evidence to the mass wasting of materials. 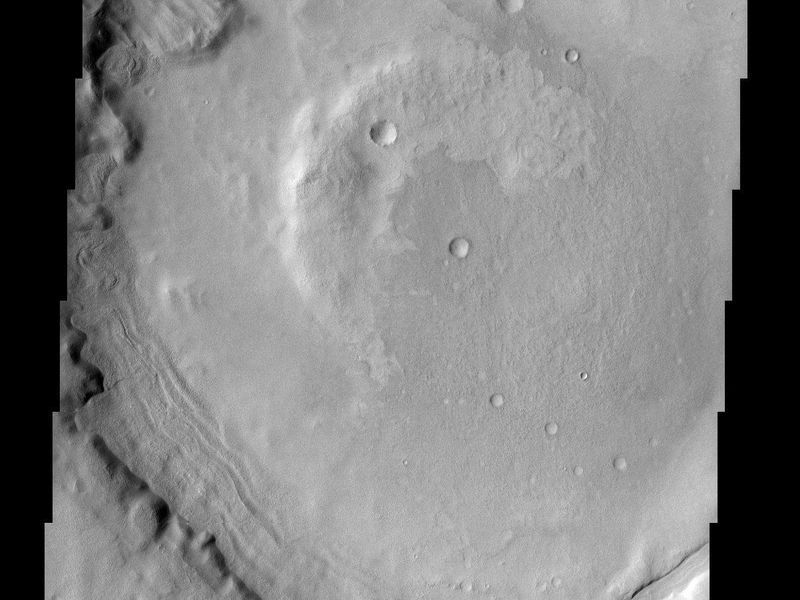 Layering in crater walls also suggests the presence of materials that erode at varying rates. Image information: VIS instrument. Latitude 31.6, Longitude 44.3 East (315.7 West). 19 meter/pixel resolution.